Our design goal with the second version was to take the original Chrono’s high performance characteristics and make it easier to use for riders looking for all-round ability in any conditions on any surface. 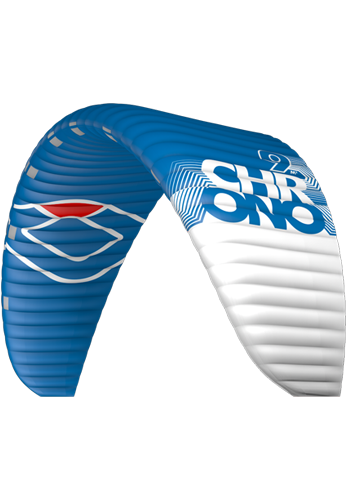 The Chrono V2 is more stable and easier to inflate; additionally this model has thicker sheathed Dyneema bridle lines to reduce tangles on the ground. New sizes cover a wider range of conditions to personalise your high performance quiver.